About as large as Sri Lanka, this island is one of Asia’s easternmost outposts, wedged in between China to the west, Japan in the north and the Philippines in the south. Taiwan may be best known for its computer peripherals industry, but it’s a largely undiscovered gem for those who are looking for somewhere off the beaten track. And if its culture is largely Chinese, its topography is uniquely its own. Cities, beaches, mountains and wildlife parks are all a few hours’ drive away from one another. What’s more is that the people are genuinely friendly, even when they speak no English, so if you have visions of inscrutable, unsmiling folk, you’re in for a surprise. Much of Asia’s quirky contradictions can be found here: glittering showrooms of the world’s best brands with signboards in the elegant, flowery Mandarin script; the highest building in the world towering above squat Buddhist temples; trendy teens walking out of a Mango store to sip a glass of ai-yu, a jelly drink found nowhere else in the world but Taiwan. Taiwan caters to every taste, and not only gastronomically. There’s something for you whether you’re a beach bum, an ornithologist, a golfer, a compulsive shopper, a gourmet or on the look-out for a great spa holiday. 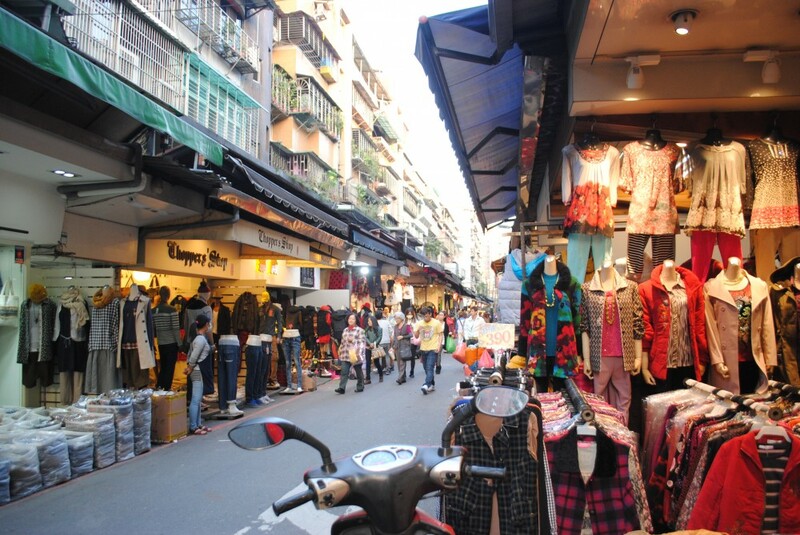 There are dozens of night markets where bargaining is the norm. On the other hand, if you’re dying to give your credit card a workout, the ritzy shops in Taipei 101, world’s tallest building, will help you. 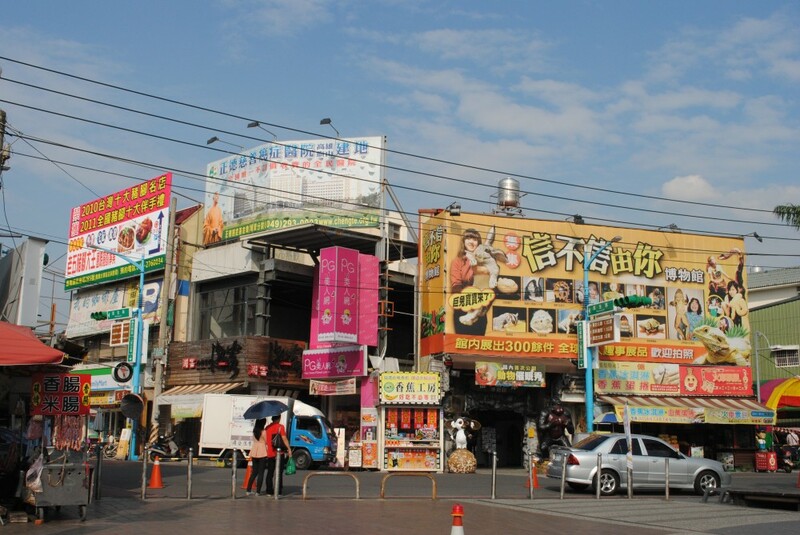 Taipei is the most convenient base for a trip to Taiwan. It’s a gleaming, modern city, with whole markets devoted to electronics shops, as well as every international brand of apparel and home furnishings you can think of. Its character, however, comes from glimpses of an ethnic past that co-exists unselfconsciously with the present: bao sellers steaming delicious buns by the side of the road, or tiny Buddhist temples in the shadow of chrome and glass skyscrapers, with office-goers hastily joining their hands together in prayer before rushing off to work. The National Palace Museum, considered one of the four most significant museums in the world, on a par with the Louvre and Metropolitan, has the finest collection of jades, calligraphy, bronzes and objets d’art from every major dynasty, right from the Sung to the Ch’ing. Indeed, before China opened its doors to tourists, the only place to see Chinese artifacts was the National Palace Museum. 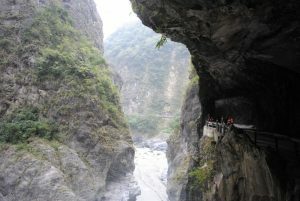 The county of Hualien in the east is where marble and granite are mined. The Taroko National Park is a high altitude park with fantastic marble formations, and miles of wilderness, most of which is connected by road. Several aboriginal tribes inhabit the area, and though most of them have integrated into the mainstream, it is still possible to watch folk dances. Sun Moon Lake with its evocative name and inspired setting surrounded by rows of hills, looks like a Chinese watercolour when mists rise up from the waters, partly obscuring the trees on the hills. The Lalu Resort, designed by Australian architect Kerry Hill, is one of the most striking buildings in all of Taiwan. Clean lines and the extensive use of natural wood and stone make it worth a stay for at least one night: two if the adjoining spa is on your agenda. In the extreme south, the beaches of Kenting offer sun and somnolence, or adventure in the form of water sports. This being Taiwan, even the beaches are no ordinary expanses of sand and water – expect picture perfect golden bays surrounded by steep hills and volcanic rocks off the shores.